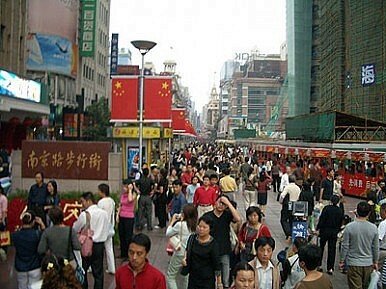 The biggest census in history begins today as 6.5 million Chinese census takers hit the streets. The first thing any government needs to do before it can realistically draw up effective domestic policies is presumably to know who exactly these policies are being developed for. The first step toward knowing this is to find out a little about the public, which is where China’s latest census comes in. Beginning today, Chinese officials, backed by a team of 6.5 million census takers, are undertaking a 10-day population count of its about 1.3 billion population—the largest-ever census in history. According to the official Xinhua News Agency, the 10-day core survey will be followed by another, smaller, round of almost three weeks of census taking, with statistics to be calculated in December and released publicly in April 2011. If this timetable can be followed, the census—the sixth for the People’s Republic of China—will appear a model of efficiency compared with India’s two-phased but slightly smaller headcount, which began in April and is expected to take a year to calculate. China’s latest census will for the first time include foreigners (whose lifestyles, according to one local official, can make them difficult to find) who will benefit from the option of taking the survey in one of five languages. They will also only be expected to answer eight of the 18 questions asked of Chinese citizens. But perhaps the biggest change is the decision for the first time to count migrant workers properly. Previously, migrant workers were counted based on where they are registered under the hukou system, rather than where they are actually living. The change is a vital improvement if the authorities want to have any chance of understanding the changing face of an increasingly urbanized population and how to allocate resources properly (although migrants are expected to be particularly reluctant to open their doors to census takers, so under-counting is a risk). One thing that isn’t changing though is the refusal to ask citizens about what religion they practice, a question considered too sensitive and liable to deter even more people from participating. Suzhou has become the first Chinese city to ban the purchase of grave sites by people without a local residency permit.